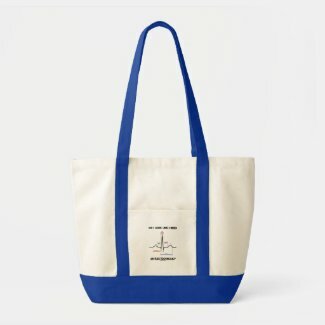 It's April 15th -- which means the tax deadline for federal income taxes in the United States. 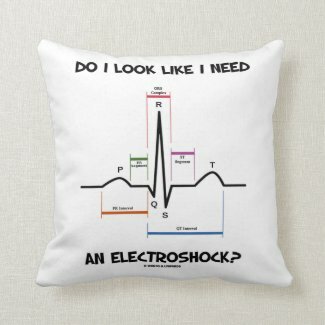 You might just get a kick out of any of these electrocardiogram humor gifts -- once you've figured out that there are taxes to be paid to Uncle Sam. 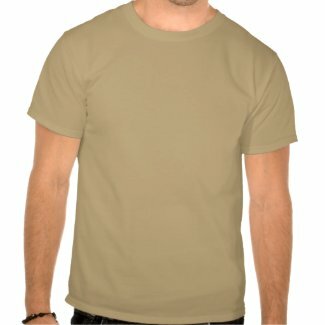 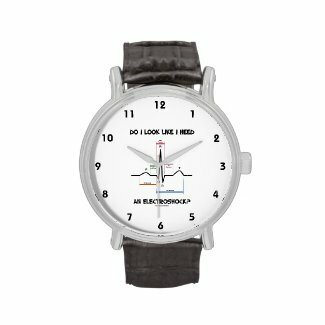 Do you feel flat-lined at times? 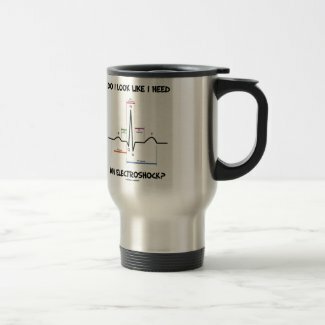 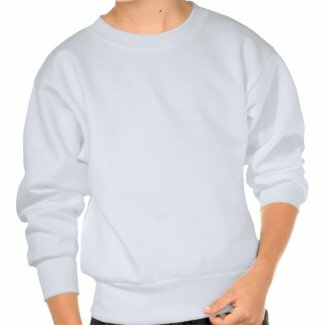 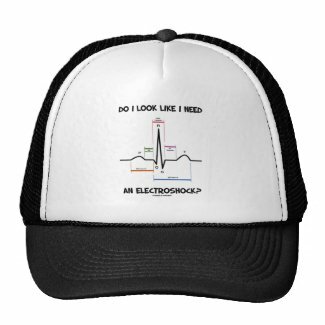 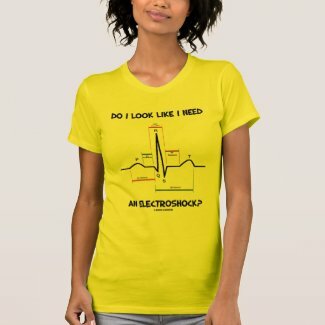 Showcase your wry heartbeat attitude with any of these gifts featuring a normal sinus rhythm on an electrocardiogram (ECG / EKG) along with the following saying that will make others do a double-take on how you feel inside: "Do I Look Like I Need An Electroshock?" 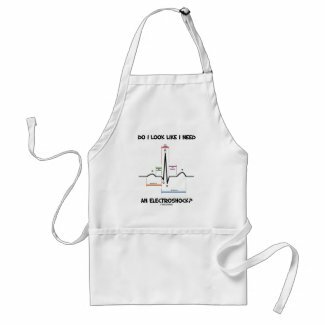 Medical humor gag gift for all; no need to work in the medical or healthcare field to enjoy!